Hi! Welcome to our new blog, Life off the Deep End! We hope that a little bit of our crazy rubs off on our readers and we inspire you to live your dreams too! Life is short. Jump in! A: Yes. Yes we are. We are entirely bonkers, nuts, weird, strange, bananas, out of our minds, … and completely going off the deep end. But for us, that’s the best way to be! A: We have been visiting every boat show; reading every book, magazine, and blog; watching every sailing YouTube channel we can find; and dreaming about living aboard a boat and sailing around the world for almost 20 years now. We have our ASA 101/102 sailing certifications and we own a little J24 right now and just spent two weeks sailing around the San Juan Islands. We are taking ASA 103 and 104 in September. A: Unfortunately, no. But thanks to the boom in the Seattle housing market, our home has increased in value so much since we purchased it, that we should be able to finally make our dream a reality and trade our home for a sail boat. We know there are a lot of cruisers who have YouTube channels and blogs of their journeys. We realize this isn’t a new concept here, but hopefully we can take what we’ve learned from them and offer a new perspective. (And we have previous video filming and editing experience so it should work out better than some!) 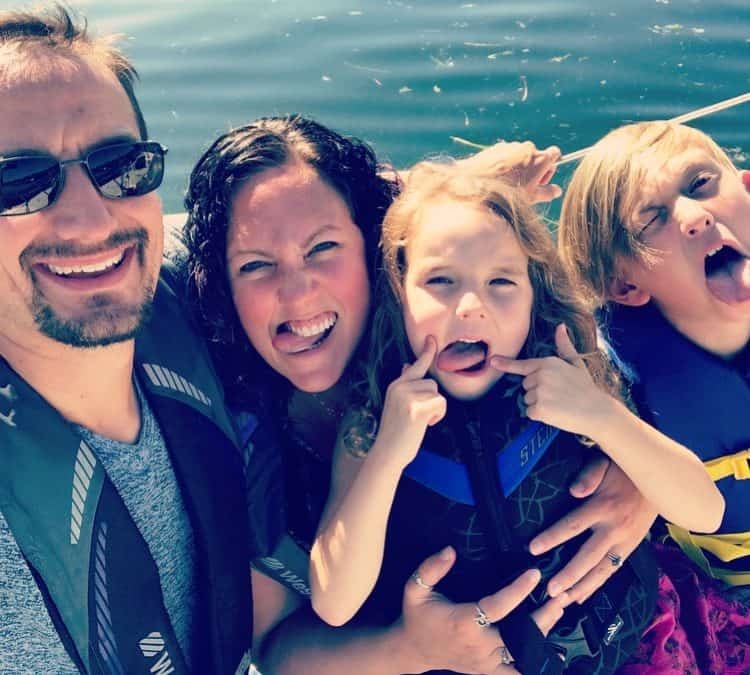 We’ll be doing this to share our journey with our friends and family no matter what, but we hope that our friends will share with their friends… And perhaps this blog (and vlog) will eventually bring in a little income. Who knows. I am moving my workshops, classes, and lesson plans to online platforms for purchase. I am going to do some freelance writing; book(s), pitch to magazines, etc. I am going to attempt to sell crafty items on etsy (or maybe my own website) while afloat. I am going to bring my massage table with me to offer massage, reiki, sound healing, etc to people I meet on our journey. And Justin will offer boat mechanic/maintenance services too. We plan to use savings to help get us by until some of these endeavors pick up speed. Hopefully this happens sooner rather than later because we aren’t leaving ourselves with much. Our cost of living will obviously be much lower while living on a boat. A: Well since I have my Masters Degree in Education, I think I’m pretty well equipped to homeschool my kids. I plan to start homeschooling them this school year to help make the transition to boatschool (or worldschool) easier on all of us. We want our kids to appreciate and learn about different cultures, religions, history, etc. A traditional school would never be able to teach them in this way. We are very excited about this opportunity for our children to grow up to be citizens of the world and not just US suburbia. A: We have quite a few projects to finish before we put the house up for sale. And yes, I know we haven’t owned it very long, but we’ve done a lot of upgrades that we never quite finished 100%. We are hoping to list it in February (so 6 months from now). So don’t worry, we aren’t leaving for a while. A: “Everything must go!” We are selling everything besides a few boxes of keepsakes to leave with family, and whatever we bring with us on the boat. So if there’s a piece of furniture or some art work or something in our house that you’ve been eyeing for a long time… make an offer. A: That’s a bit up in the air right now. Where we begin our journey depends on where we find our home afloat. There are many world cruisers for sale in Florida, and also quite a few that pop up in San Diego. If we can find one here in the Pacific Northwest, that would be great, but we’re open to looking wherever. So either we start our journey in the Caribbean, or sail down to start in Mexico. Eventually we plan to sail to the South Pacific and keep going from there. A: We have done a lot of research about which countries are safe to visit (especially with kids) and which areas we should avoid. We plan to meet many other cruisers with kids and stick together as much as possible. 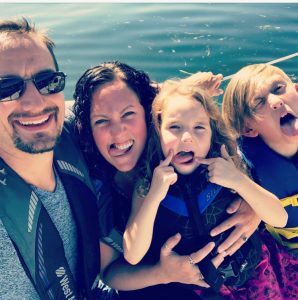 We are already starting to meet and chat with awesome cruising families on our Life off the deep end Instagram page. As far as weather goes… “There’s an app for that.” Really though, we’ll have a satellite receiver to diligently check weather, wind, current, etc, before passages. Lastly, from what research we’ve done, healthcare seems to be much easier and less expensive in the countries we plan to visit, but we will have catastrophic health insurance (and boat insurance) as well. We will visit our doctors and work with them to stock our first aid kit before embarking. We are also planning on taking wilderness first aid training in the coming months. A: We really aren’t sure at the moment. Going with the flow… literally. I hope I answered most of the questions that have been swarming around in your head… And maybe you think we’re a little less crazy than you did when you started reading? (Just a little?) If you are wondering about something I didn’t write about, please comment here on the blog and I’ll do my best to answer your burning question! Whether you know us personally, or you just happened upon us, thank you for reading and being so supportive. Please tell your friends about us. No matter what journey in life you’re on, I hope you will find inspiration here as I keep blogging. Live your dreams. If we can do it, you can do it. This sounds amazing! Living life to the fullest! Life is too short to not take chances. I will live through this blog and your family! I can't wait to see your adventures unfold!